← If we’re the 99%, why are we still at the bottom? During the Cold War, in the context of escalating tensions between Russia and China, a listener asks Radio Yerevan: “What do you advise: to drink Russian tea or Chinese tea?’ The answer comes in promptly: it’s wiser not to meddle with the business of great powers, better to drink coffee. It is the same now with the leftist options available in relation to Brexit: better just to have a coffee. The British and the European Left, more radical or more moderate, split between different groups and directions that the simple opposition Lexit/Remain cannot possibly cover, has once again surpassed itself, so it becomes more and more obvious why it is always in a crisis. As Zizek has said, the European Left doesn’t miss a chance to miss a chance. In this case including the chance to stay silent. The first signal that something is not really right should have come when left-wing people such as Tariq Ali or Stathis Kouvelakis were rejoicing Brexit, much like the UKIP leader. Although their reasons might have been different, the attitude was similar: a middle finger. But it is not clearly to whom. Whatever happens after Brexit, one thing is obvious: the ones who will not benefit are the working class people, the immigrants, the poor, those who suffer racial discrimination and so on. While we should avoid the over-dramatization of the situation, the joy expressed by some on the Left is unwarranted. Brexit did not put an end to capitalism in Britain, it did not take the UK out of the international system of states and, even less so, it was not a vote for communism. The Brexit, when and how it will be implemented remains to be seen, will mean nothing else than a re-adjustment to the existing global constellation, without very dramatic consequences for this constellation. The belief that the Brexit will open a new window of opportunity for progressive politics isn’t based on anything concrete, but is merely wishful thinking. The Brexit joy was accompanied by a similarly bizarre expectation. It was hoped that following the political crisis it will generate a left-oriented Labour party would come to power in the UK under Corbyn’s leadership. However, in practice, Brexit has been followed by the contestation of Corbyn’s leadership and could likely lead (at the time of writing) to new elections within the party. Instead of focusing on making a bid for power, Corbyn now has to fight to save his position as leader. This is the kind of victory that only a hit-and-miss left can reclaim. Lexit partisans have also suggested that the UK’s exit from the EU will generate two major effects: on the one hand it will withdraw the UK from the EU’s neoliberal austerity project; on the other hand, it will constitute a lethal blow to this rotten version of EU. Here there are several levels of mystification. Firstly, the observation that the EU is a neoliberal project has lost its critical edge and became something akin to cliché and a form of analytical laziness. Gareth Dale, in an excellent interview drew attention to the ordo-liberal roots of the austerity policies imposed by the EU under the control of Germany. Austerity is not synonymous with neoliberalism, as Richard Seymour also pointed out, and the idea of maintaining low deficits is not central to neoliberalism. In fact, neoliberal policies historically led to high state budget deficits and to cuts of the welfare programs, not to overall state thriftiness. This, of course, doesn’t make the EU more attractive or less neoliberal (on the contrary, the EU is a project that has to be critiqued by the Left forcefully), but it calls for more analytical rigor and less ready-mades for the left. Then, the idea that Brexit allows the UK to free itself from the EU’s neoliberalism is in itself peculiar. It is very unlikely (some pessimists would even say almost impossible) that the UK will suffer a significant change of course in the short or medium term. Rather, the neoliberal direction and the austerity policies will continue unabated and even perhaps more forcefully, especially if Brexit will lead to a restructured TTIP. What is more, the UK developed its sui generis brand of hard-core neoliberalism before and independent of the EU. Is Thatcherism already forgotten? Or Tony Blair’s Third Way that basically destroyed the European social-democracy? The UK was never an innocent victim of EU’s neoliberalism. Rather, the opposite was the case: it was one of the staunch pillars of neoliberalism and of the Washington consensus within the EU. While it is not at all clear how Brexit will make the UK less neoliberal, it is undisputable that the EU has lost one of its staunchest neoliberal pillars. Ironically, Brexit as an antidote to neoliberalism makes sense for the EU not for Britain. Furthermore, far from pushing the EU over the precipice as it was hoped, in practice it seems that Brexit will lead to the strengthening of the EU. The plan now is to deepen the integration and to give a bigger role to the European supranational institutions. Those leftists who thought Brexit would lead to a weaker EU might in fact face the prospect of a more Brussels-led bureaucratic EU, with its own army. Again, another Pyrrhic victory only the left can enjoy. Many of the mystifications afflicting large parts of the left in relation to Brexit were caused by mistaking Brexit for Grexit. As Etienn Balibar wrote, however, the Brexit was an anti-Grexit. If Grexit made sense in the Greek context and would have indeed freed the country from the masochistic tyranny of EU austerity (and might have offered a severe blow to the Euro, the root-cause of the problems), this is not at all the case with Brexit. Quite to the contrary! The UK already had a privileged position in relation to the EU, it has it’s own currency, it is not harassed by creditors and it is a core-country of global capitalism which allows for more significant spaces of maneuver. Even if Brexit will cause a short-term recession, overall British capitalism is unlikely to suffer from it. In fact, Brexit might even prove profitable for some capitalist segments. As such, none of the progressive elements that would have accompanied Grexit were present in this case. On the contrary, the Brexit was called by conservative forces, its campaign generated and mobilized conservative and right wing energies and the result is framed in right-wing terms. For some on the Left, Leave vote was a political message sent by the dispossessed and the powerless – a protest vote against the elites that shows discontent with the current state of affairs. Brexit, for them, was an expression of frustration and rejection of neoliberal policies. Yet, for others on the Left Brexit was nothing more than a vote of the reactionary, racist and fascist segments of the poor working classes. It’s worth noting again how a segment of the Left mimicked the extreme Right: if the Right put the blame for all evils on the migrants and on the foreigners, this so-called progressive, cosmopolitan Left scapegoated the uneducated, poor and racist segments of the white British working class. It’s obvious that the vote for Brexit cannot be reduced to racism and fascism and that people’s discontent is real. Demonizing Brexit voters tout court as racists, fascists and small-minded makes the left as guilty as the cosmopolitan, neoliberal and centrist establishment that disenfranchised them in the first place, and will only have as an effect a strengthening of extreme right sentiments. At the same time, the significance of the Brexit vote is more ambiguous than a part of the Left is willing to accept, and at least should elicit some caution. While the discontent is real, it is not always the case that it is expressed in progressive terms or that it has progressive outcomes. Those who voted for Hitler in 1933, for example, were also expressing deep feelings of discontent in relation to the status quo and to their dire economic situation, but this didn’t make their gesture politically progressive or emancipatory. It is an illusion to think that everything that the working class does must be progressive or motivated by leftist values, or that the Left should support it regardless. This class is not homogeneous, but it is fragmented among segments with diverging interests and different forms of political expression. Some segments can be racist and fascist while others can support progressive policies. It is no secret that following the neoliberal policies of deindustrialization and the concomitant demise of the European social-democracy, the European industrial classes, both in the West and in the East, to a large extent have moved towards the right and became the political base for populist and reactionary forces. This is also a result of the failure of the left in the past 40 years, to be sure. But it would be another colossal mistake to forget this historical shift when analyzing the electoral articulation of popular discontent. To consider Brexit unequivocally a form of class revolt would be therefore an error of interpretation and a major political faux pas, especially since, as Gareth Dale noted, the vote was split down the middle. The only real homogeneity was among the cosmopolitan City-based elites agitating for Remain. While the British and European segments of the left still argue around Brexit, trying to score points against each other, the number of racist and xenophobic attacks in the UK has risen according to police reports. 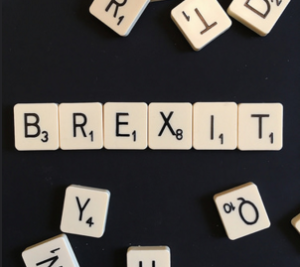 Not all these can be put on Brexit’s tab, but they do bespeak a certain direction – a direction that does not seem to be in Left’s favor, either the radical or moderate one. The optimism of some on the left that Brexit will open up new political possibilities for both in the UK and in Europe appears to be based on thin air. If anything, Brexit might in fact halt the promising revival of alternative left forces in Europe, as the results for Podemos in the Spanish elections seem to indicate. The center-stage in Europe now is dominated not by leftist forces on the verge of taking state power, but by self-congratulating populists ready to mobilize the fears and disorder generated by Brexit to their own benefit. Besides, Brexit led to even more partitions within an already divided European left both before and especially after the vote and there is not a single example of a leftist force standing to benefit henceforth. Antonio Gramsci once wrote about his apprehension of throwing stones into the dark, meaning that he did not want to use valuable political energy on unspecified targets and in inconsequential struggles. With the occasion of the Brexit, the British and European left did worse than that: it threw stones into the dark and broke some unnecessary windows as well. To fix this a coffee will not suffice.